Here’s a chance to start a profitable business easily! Visit the Technolux booth at Franchise Asia 2019 from March 29 to 31, 2019 at SMX Convention Center at the Mall of Asia. The country’s biggest distributor of a complete line of kitchen and laundry equipment and smallwares for over 43 years, Technolux will launch new business concepts with quick ROI. To be introduced to entrepreneurs and guests at the event is Lechi, a food business model created by Technolux. It sells grilled/air-fried dishes such as roast chicken, lechon kawali and liempo using Convotherm Model Gas Easydial 6.10 Combi Oven. 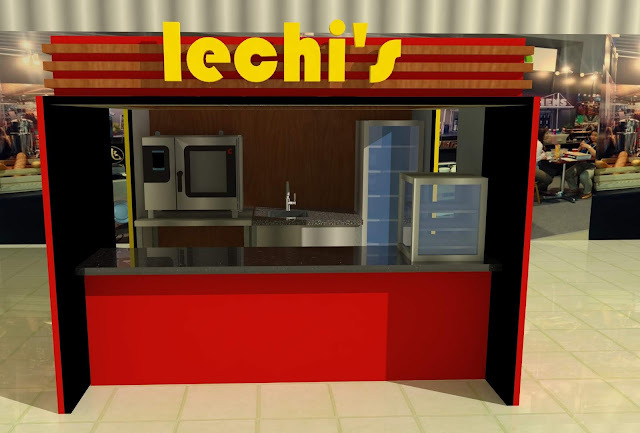 Since it doesn’t use charcoal like other roast chicken kiosks, Lechi is an innovative business concept that guarantees healthier dishes that are packed with flavor. Lechi’s Chicken is roasted using Convotherm’s combination mode that combines convection and steam cooking methods to ensure that the chicken browns perfectly and maintains its moisture. The lechon kawali, on the other hand, is air-fried using the crispy and tasty mode of Convotherm Oven. Frying it without oil makes it’s healthier than the usual litson kawali. Lechi’s Liempo, meanwhile, is marinated for long hours and grilled to perfection. Also to be launched is the Frozen Fruity with Bursting Boba" that uses Elmeco, a multipurpose cold beverage dispenser Another viable business model is the Quiche and Tell Kiosk that sells quiches and tarts with a twist using Merrychef Oven. It is easy to start these businesses. There are no franchise fee and no royalty. All you have to do is have to do is purchase quality, long-lasting equipment from Technolux. It guarantees full support including manpower training, kiosks and small wares. Interested parties may call Mr. Norell Ortega (0917.8673910), Technolux Head Office at 896.4941 loc. 4029 / 4021 or visit its booth at Franchise Asia 2019.